Has the term “commodity” ever been used to describe what it is you sell? Have your customers said in no uncertain terms “I get get the same thing down the street for less?” Or how about your sales team, have they come to believe that the only way they “can sell this stuff” is if you management, get them a better product at a cheaper price? If any of these resonate with you, you’ve found yourself in commoditized hell. 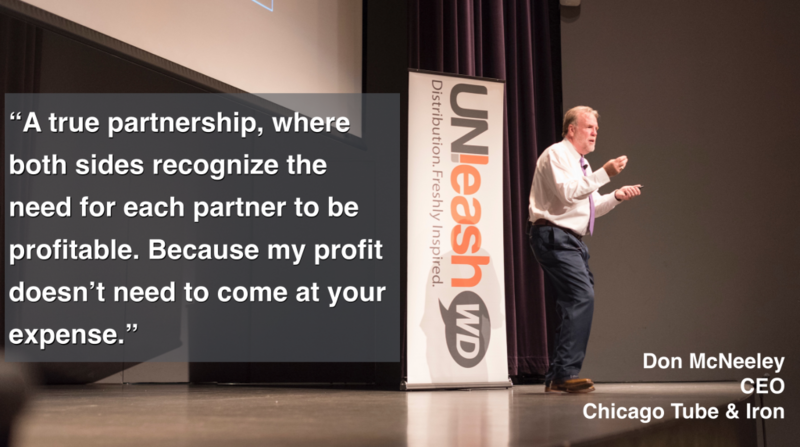 As our guest Don McNeeley, President and CEO of Chicago Tube and Iron (CTI) demonstrates in this episode, over time every company and every industry will go from selling a differentiated product to a commoditized product. And then … margins compress. I think we just captured the story of many distributors. Many businesses. The desk plaque on IBM founder Thomas Watson’s desk that read “Think” comes to mind. And Don McNeeley is one of the better thinkers when it comes to constant innovation to address head on the commoditization of his business. He blends the best academic research and understanding from his work teaching at Northwestern’s McCormick School of Engineering and the reality of leading a business that sells and distributes what many consider commoditized tubing, pipe and bar. But CTI is anything but commoditized. 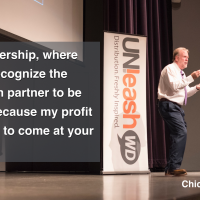 In this episode I discuss with Don the foundational root causes of commoditization and how every leader in distribution can and must put the customer at the center of their innovation efforts to premeditate your next iteration of differentiation. Links will be provided with each episode broadcast.